In the Manage license window, press Tab to select the Remove button, then press Enter. 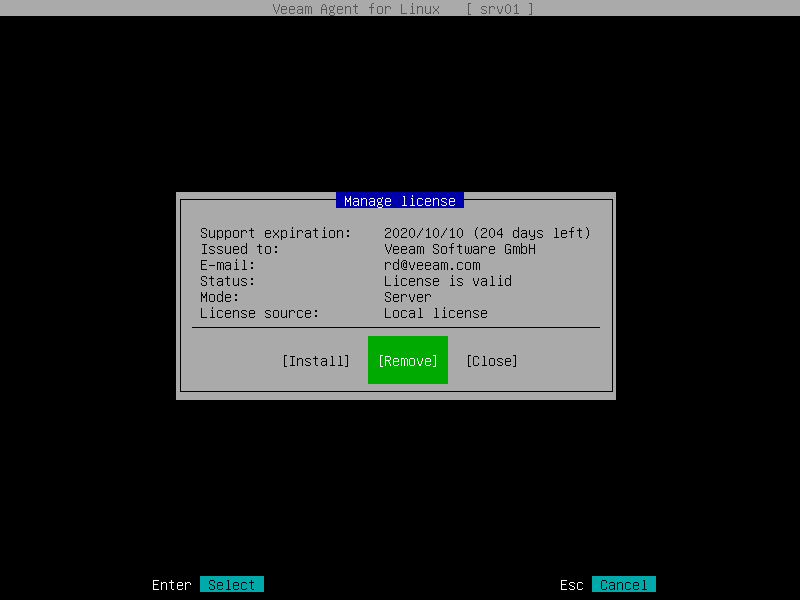 Veeam Agent for Linux will remove the license and display a window notifying that the license is successfully removed. Press Enter to finish the license removal process. If Veeam Agent for Linux operated in the server mode and multiple backup jobs were configured, after switching to the free mode, all backup jobs will fail. If pre-freeze and/or post-thaw scripts were specified for a backup job, after switching to the free mode, this backup job will fail.